Student Life and Leadership is providing Salt Lake Community College students with another opportunity to get involved on campus. The semi-annual Club Rush will be held at the Jordan, South City and Taylorsville Redwood campuses next week. With more than 65 clubs, students shouldn’t have a problem finding a club that fits their interests. 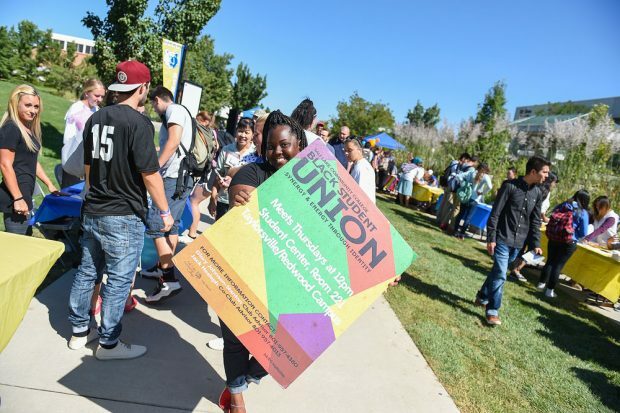 Brandi Mair, a coordinator for Student Life and Leadership, says Club Rush not only allows clubs to recruit new members, but also helps students who have not previously been involved to learn more about the clubs on campus. Any student can join any club. The only requirement is a small member fee, which clubs use as a source of funding. If a student cannot find a club that interests them, they are welcome to start their own club. 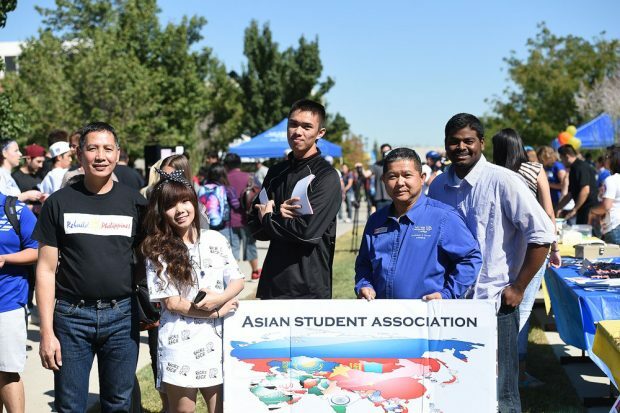 A new club needs at least five students as members and a full-time faculty or staff member as an advisor. Mair says the Clubs and Organizations Office is happy to help them throughout the process. There are advantages to belonging to a club. “Studies all across the country show that students who are involved in things like clubs on campus tend to have higher GPAs and they retain at a much higher rate than students who just go to class,” Mair says. There are also a few Club Leadership Scholarships available. Students who serve as officers are eligible to apply or nominate another student. Club Rush will span three days, one day at each campus, from 11 a.m. to 1 p.m. Clubs are only required to attend the Taylorsville Redwood Campus and one other campus. For new students, the First Year Experience Office will be represented at the South City and Jordan campuses in conjunction with Club Rush. First Year Experience will have its own event at the Taylorsville Redwood Campus. Students who are unable to attend Club Rush can access club information on OrgSync, an online portal. Mair says students can use their MySLCC login to access the portals of all active clubs. For more information, contact Clubs and Organizations vice president Leone Tunuufi at 801-957-4072. Couldn’t make it to Club Rush? There’s still time!